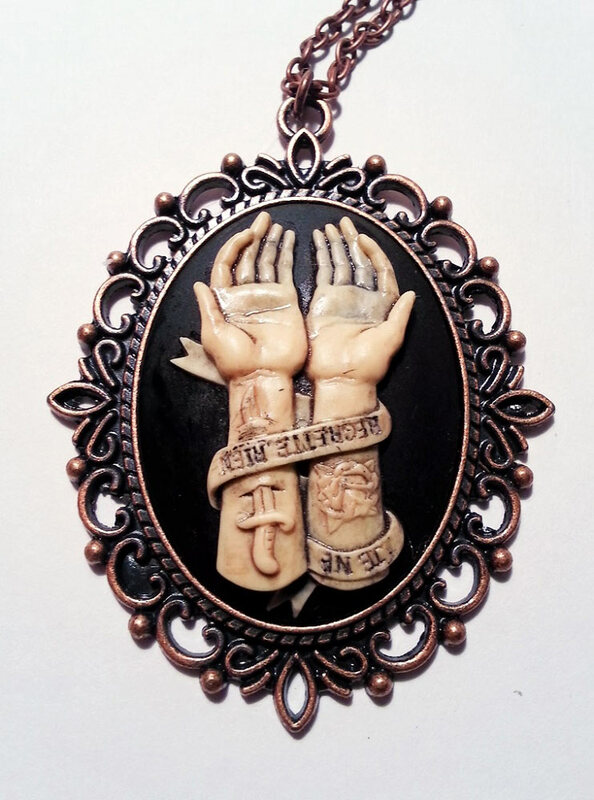 This necklace features a hand painted beautiful open hands with dagger image wrapped in banner that reads "je ne regrette rien (I have no regrets)." 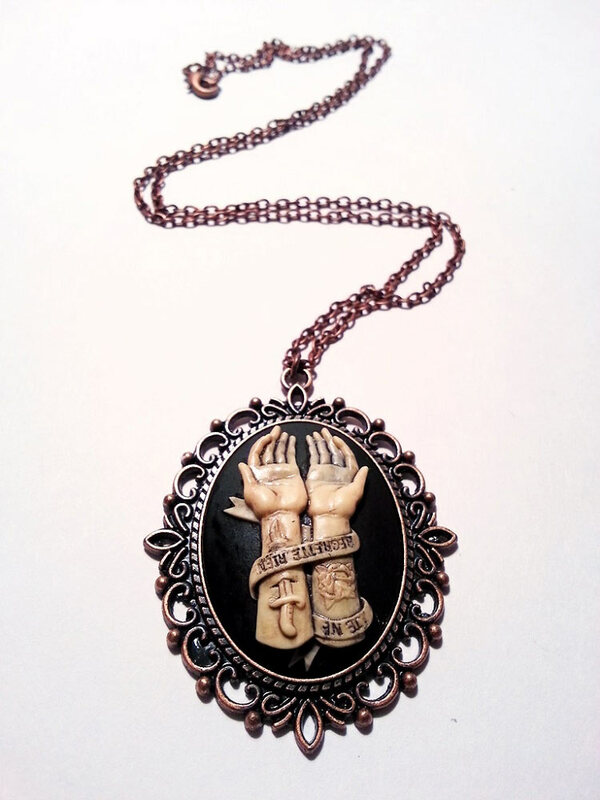 Set on a black resin cameo in a Victorian style antiqued copper pendant setting. The pendant hangs from a 24" copper chain and closes with a lobster claw clasp. The cameo measures approximately 40 x 30mm, and the setting is 72 x 36 mm. Each piece is beautifully custom made.